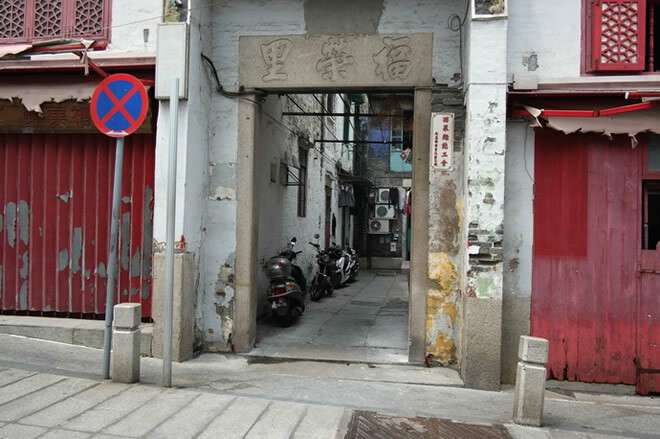 Fulong new street is an ancient street of Macau which was built in the Tongzhi years, including the neighboring Furong Li (which means Lane in Chinese), Funing Li, Penglai Lane, Qinghe Li, and other prosperous commercial areas in the old Macau. 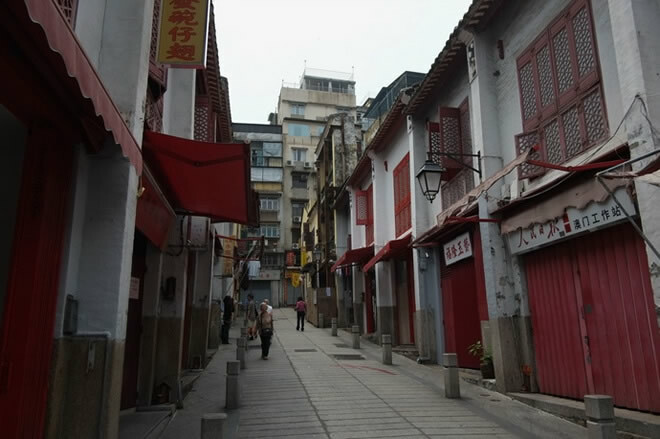 Today, these buildings are still well preserved. 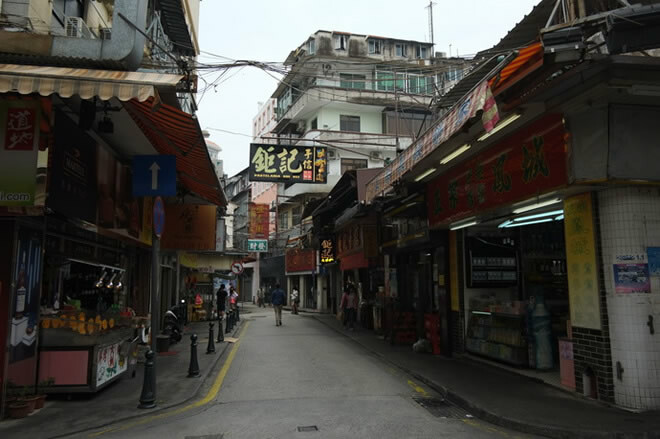 Now walk in Fulong new street and the surrounding streets, you will smell the aroma of a wide range of cuisine in the streets. 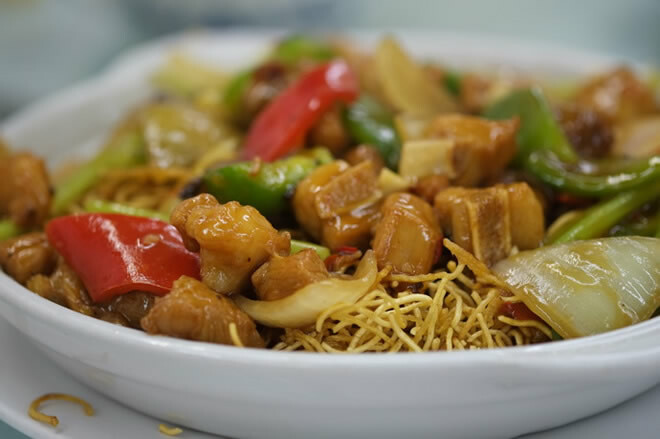 That’s because there are a lot of large and small restaurants, snack shops and dessert shops open here, many food lovers will make a special trip to come here to enjoy the food. 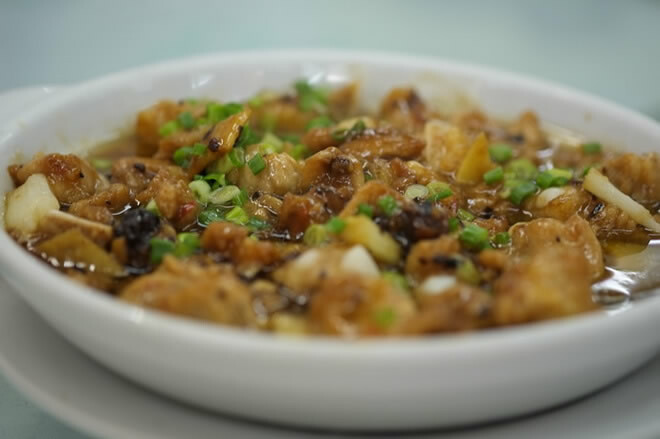 Speaking of Macau's cuisine, perhaps we will be preferred Portuguese dishes, Portuguese egg tarts,Dalilai pork chop bun, and so on. 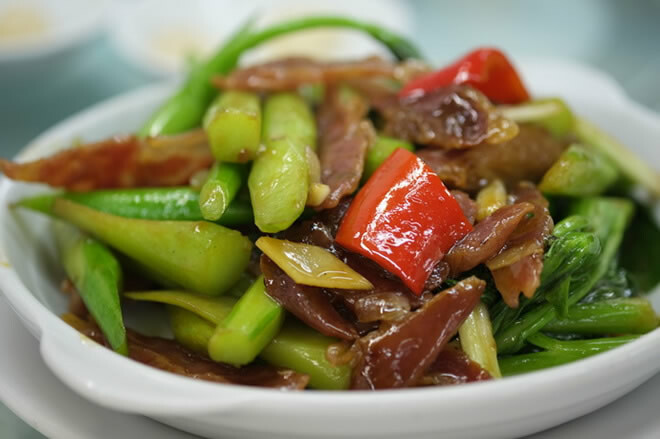 In fact, the local cooking is quite distinctive, especially the ones made in some small restaurants on the Street, which taste more authentic. 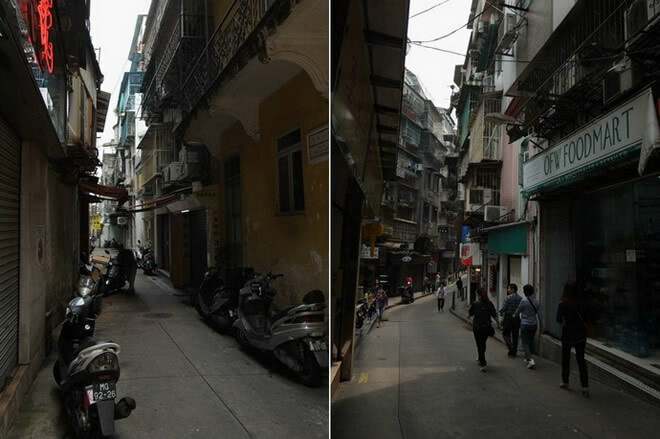 Street buildings are very unique. 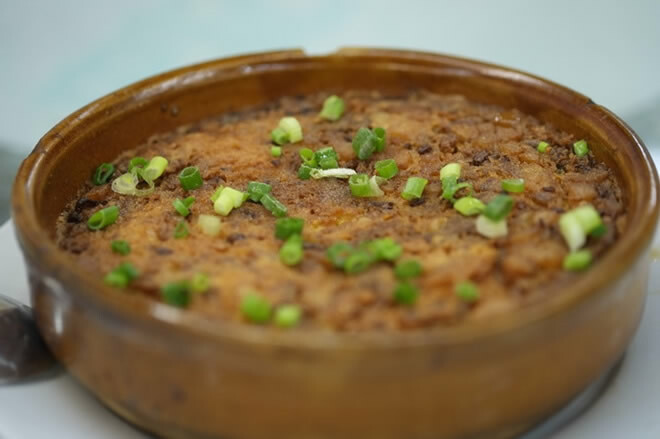 Many of them are the traces of the colony. 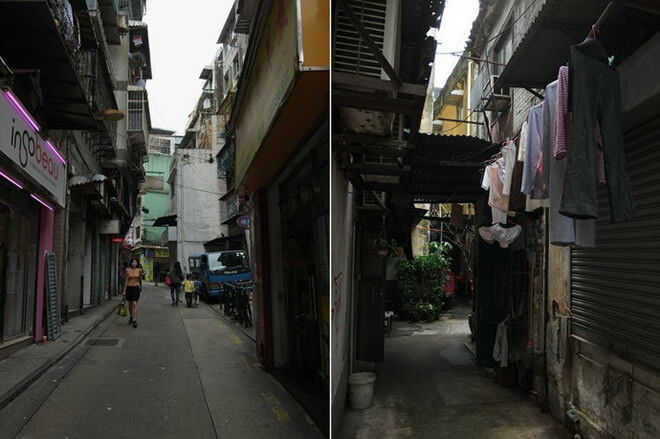 Nowadays, most Macau people live in the apartment buildings, but perhaps a matter of habit, there are still many people like the life in the Old Street. 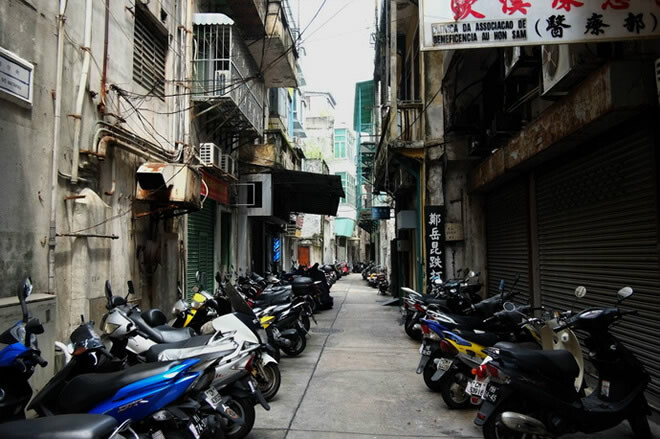 Maybe these streets look a bit messy, but they reveal the flavor of life. 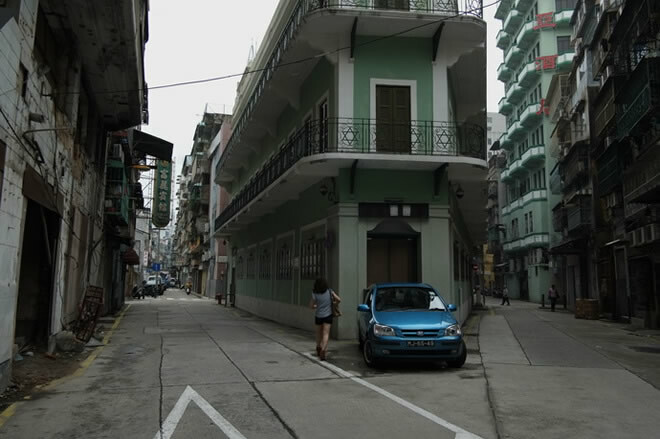 The mottled wall witnesses the History of Macau. 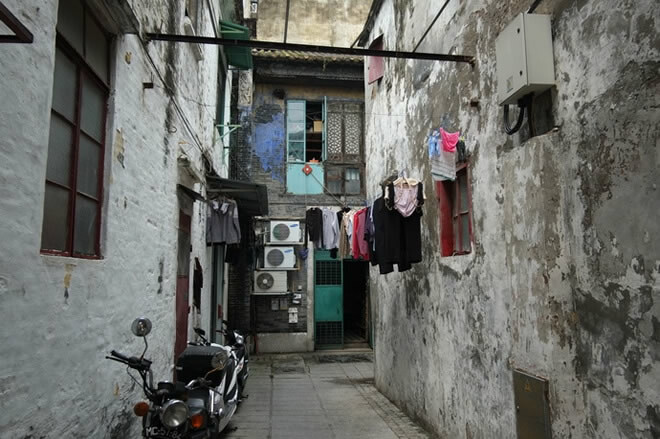 Because some part of the building is old, some are no longer inhabited, but is still well preserved. 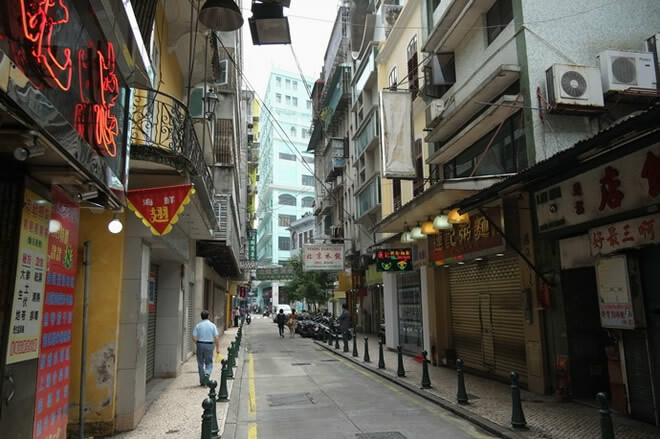 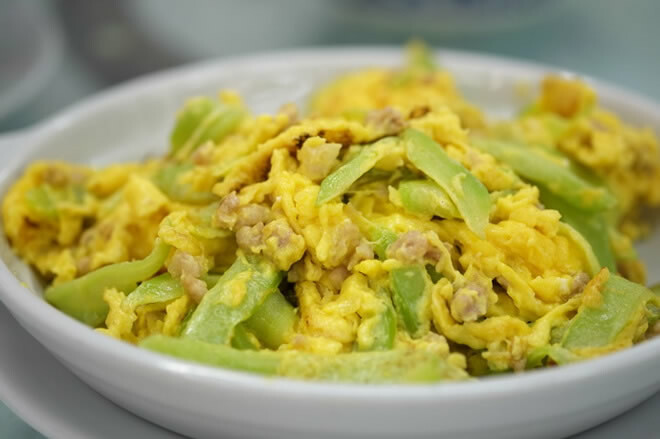 There are many restaurants in the street, some are mainly operating Macanese dishes, and the neighbors are the frequent customers of the restaurant. 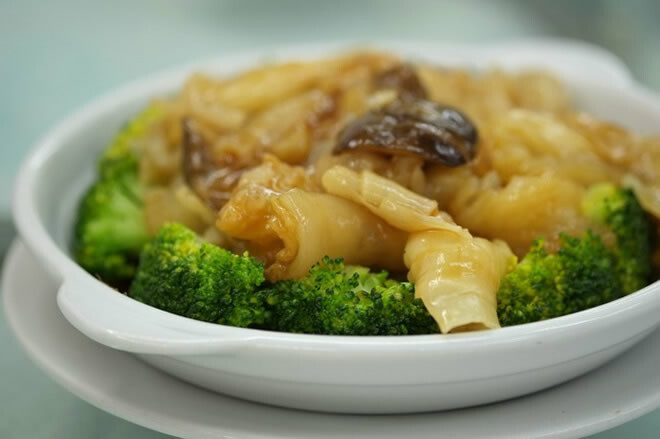 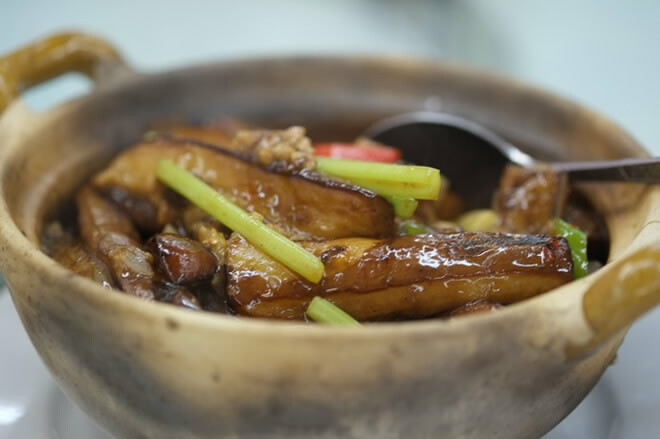 It was the very lunch time, we certainly would not miss the opportunity to taste authentic home cooking of Macau. 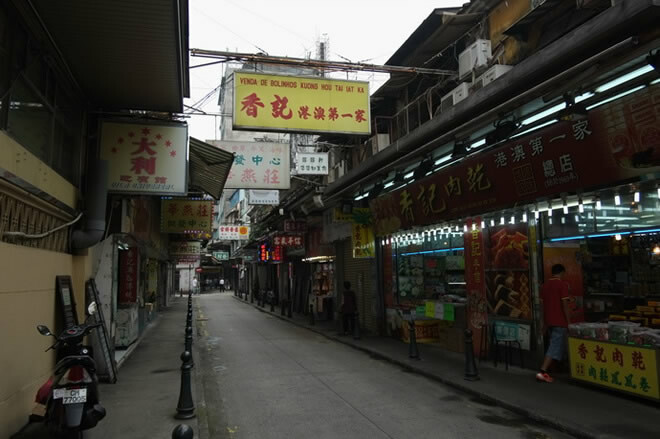 Although the shops fronts in the old street look not very good, the goods they sell have their own characteristics. 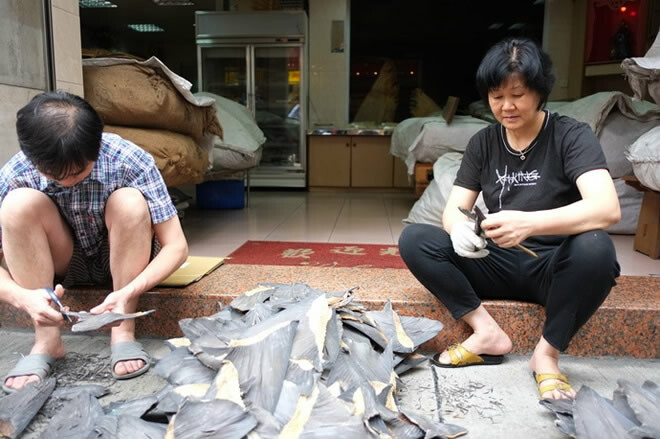 This is a specialized wholesale shark fin merchant. 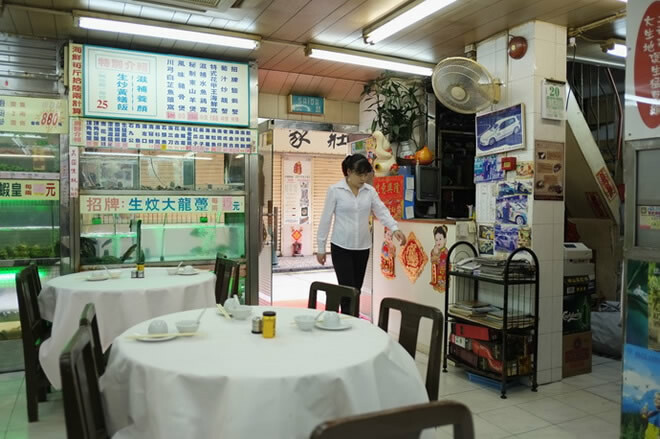 Several shops selling Macanese food have a century of History. 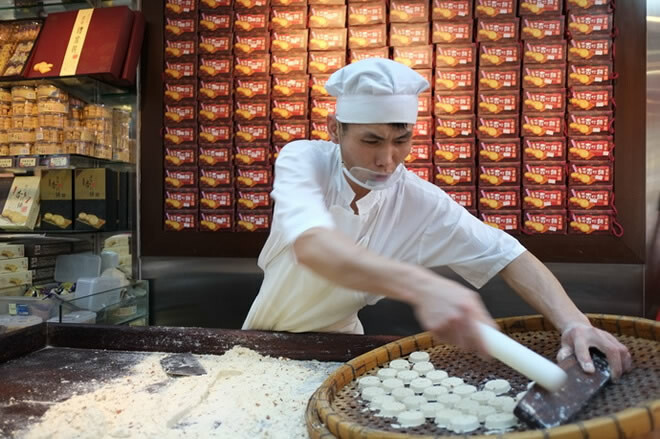 One of Macau specialty: almond biscuit, the stores still keep the tradition of handcrafted at the scene. 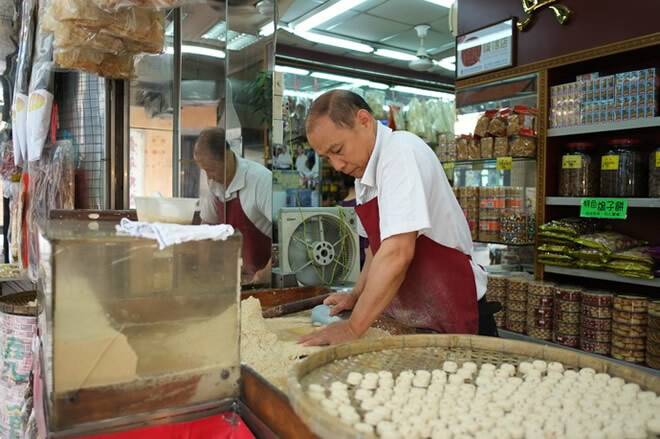 With the heritage of the younger generation, I believe that these traditional snacks will be carried forward.